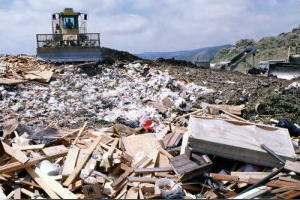 In October 1999 Cornwall County Council granted planning permission to County Environmental Services (CES), a company wholly owned by the Council, to extend the largest landfill site in Cornwall. The site had been the focus of widespread public opposition for a number of years as a result of continued environmental pollution from the site, damage to a proposed World Heritage Site, and adverse impacts on protected species in the area. Following the grant of planning permission, which would have extended the period of tipping by a further 10 years, Charlie was instructed to challenge the permission by taking judicial review proceedings against the County Council. It was argued in the High Court that the Council had acted illegally in that they had failed to adequately survey the site for protected species, which was required by the Environmental Impact Assessment Regulations and the EU Directive. The Council argued that detailed surveys of flora and fauna could be dealt with by way of Section 106 Conditions following the grant of permission, a common practice with planning authorities. Such surveys by way of conditions however would have the effect of excluding the public from participating in the process of environmental assessment, thus defeating the purpose of the Directive and the Regulations. "the grant of planning permission in this case was not lawful because the respondent could not rationally conclude that there were no significant nature conservation effects until they had the data from the surveys. They were not in a position to know whether they had the full environmental information required by Regulation 3 before granting planning permission." Judgement para 73. Transcript: R v Cornwall County Council ex parte Hardy & Gwennap Parish Council CO/4784/99, 22 September 2000. Overriding Public Interest in Planning and Conservation Law. Journal of Environmental Law, Vol. 16, Issue 3, pp. 377-407, 2004. 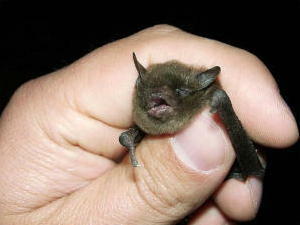 Photos: Landfill by David Parsons courtesy of US DOE/NREL; Bat by Andy King courtesy of US Fish & Wildlife Service.